How 24HourPrint.com Guarantee Quick Business Card Printing? Order today. We’ll ship them tomorrow! DAY 1: Place your business card orders before 4PM PST. After placing your order, the file will be printed. DAY 2: Your printed business cards are shipped. 24HourPrint provides different delivery options and prices. You can choose the delivery date for your orders. (The date options will depend on your address and your orders). Disclaimer: Turnaround time does not include weekends and holidays. Aside from fast printing, 24HourPrint also offers free templates where you can choose from different file types like Adobe Illustrator, Photoshop and CorelDraw. You can also choose from different sizes like 2 X 2, 3.5 x 2 square, vertical or horizontal business cards. Check out our Business Card Templates page for more information. We can make your work easier by our 1-day printing services. We start printing your orders the next day after you fill up the order form. How Can I Place Orders at 24HourPrint? •	Specify the name of you project. •	Indicate the size of your cards. •	Choose the paper type. •	Choose the quantity of your order. Fill up the form with your complete address to get delivery options and prices for your order. 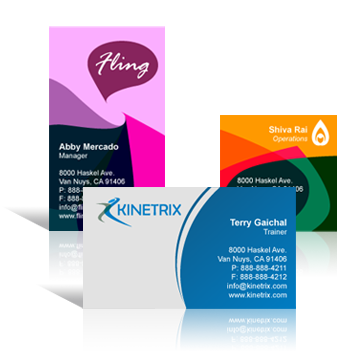 With these simple steps, you can create the best business cards for your business. They will be delivered to you on the just when you need them.